Lychees | Keep It Up, David! When I was at the store last week, I came across a basket of spiny, scaly, strange little things that looked like they belonged in a Dr. Seuss book. Naturally, I was intrigued. 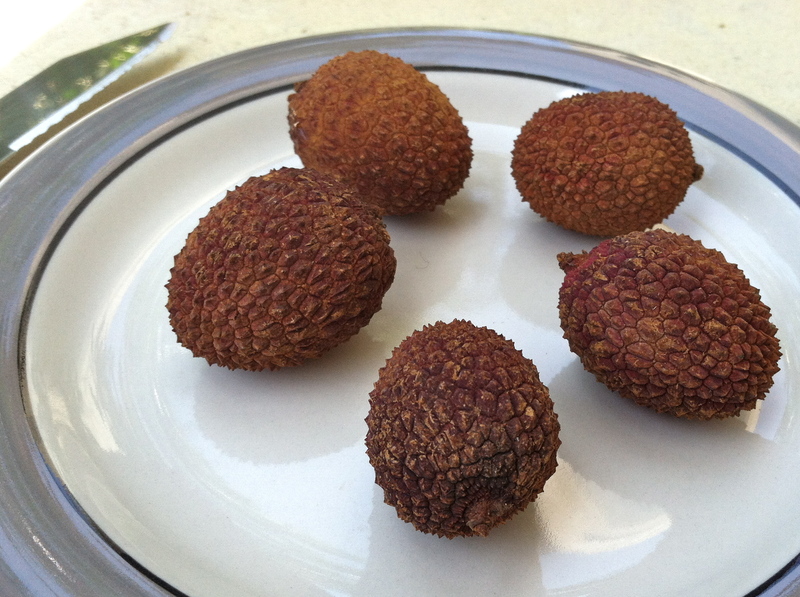 LYCHEES! 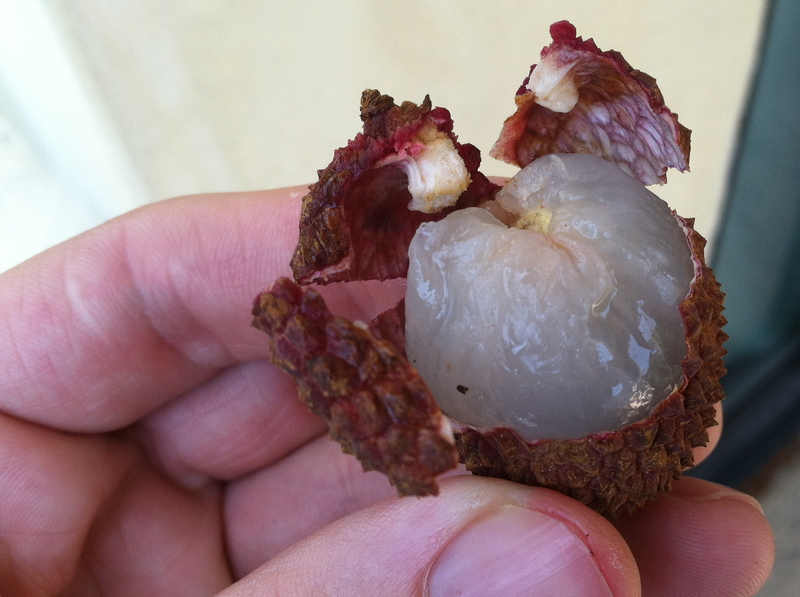 I’ve never seen a fresh lychee before – only canned or jarred. I picked up five and brought them home. Lychees are a tree fruit and they’re more closely related to chestnuts (another food item I recently tried for the first time) and maple trees than any other types of fruit. 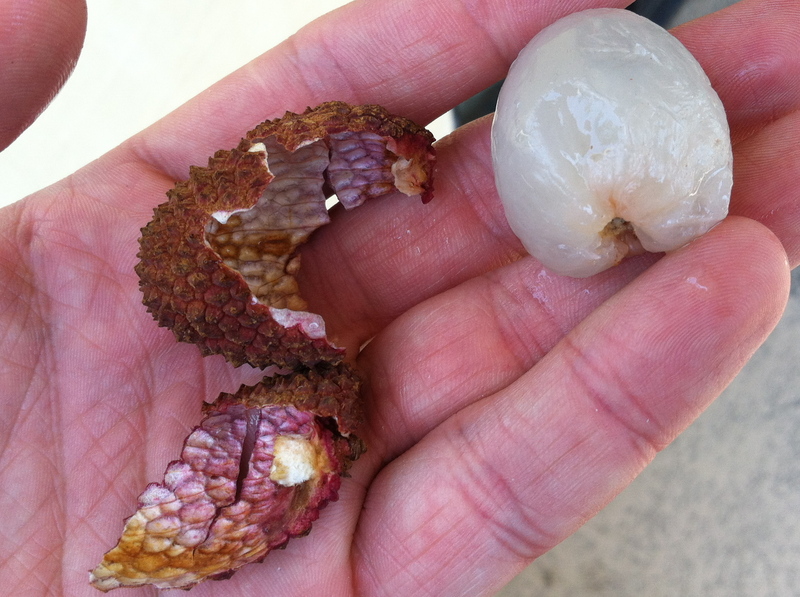 Lychee trees grow in tropical climates and are native to southeast Asia – particularly southern China and Malaysia. 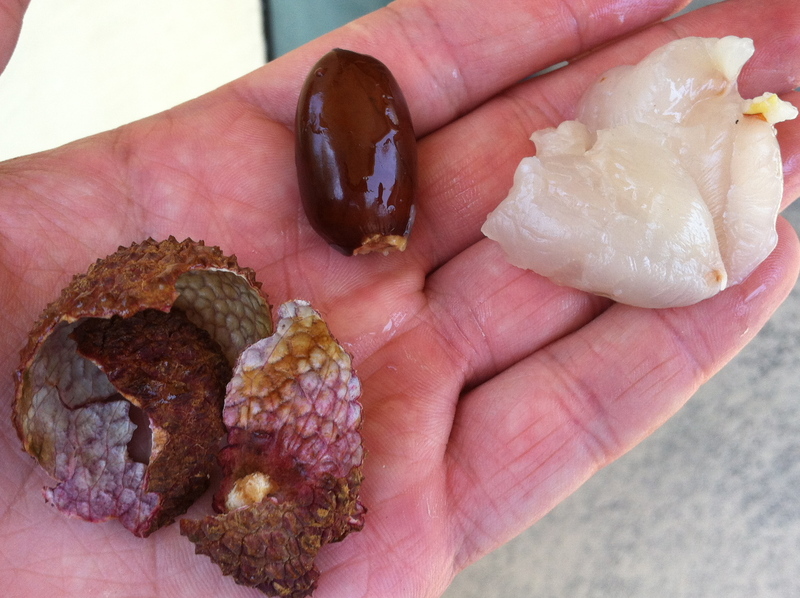 Only three US states – California, Hawaii and Florida – have commercial lychee production (I forgot to notice where these lychees came from). In Asia, lychees were enjoyed as a delicacy by the ruling members of Chinese dynasties for over a millenium, and now they’re popular throughout Asia, and are frequently canned and jarred. They’re also used to make tea, ice cream, and syrups, which are popular in beverages and cocktails. I know I’ve tried lychees from a can or jar at some point in my life, but I can’t remember when, where, how, or any of the details. Peel the hard husk and scrape off the fruit from the seed in the middle. The seed is pretty big in relation to the fruit itself, so sometimes it’s depressing how little the payoff is. Very informative, Debbie, and I also appreciate you managing my expectations! I had so idea what to expect when I peeled them, but I assumed the husk would have some thickness. Turns out the husk is very thin and cracks and breaks much like an eggshell. Peeling these guys were a lot like peeling hard boiled eggs! For the first lychee, I ignored Debbie’s advice about scraping the fruit from the seed, and instead, popped the whole thing in my mouth and sucked the fruit from the seed. Debbie wasn’t lying about the size of the seed compared to the size of the whole fruit! 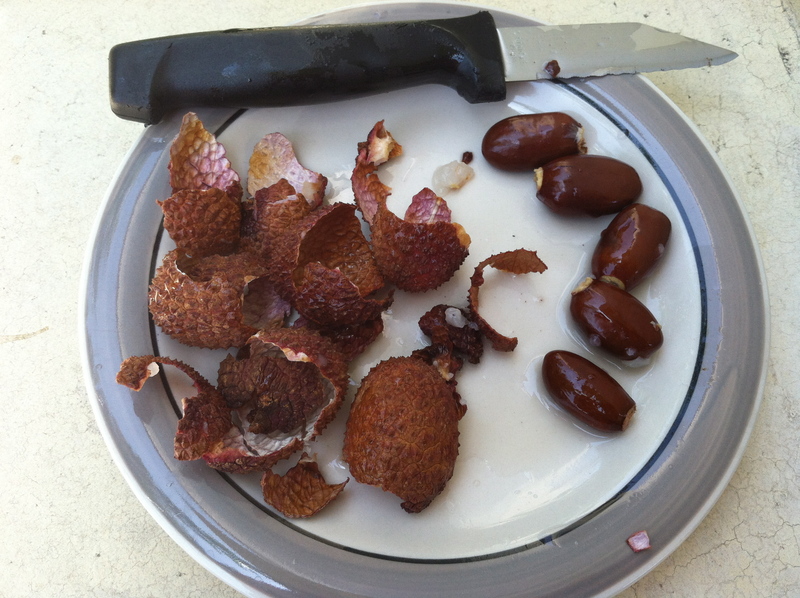 For the second lychee, I tried using a paring knife to separate the fruit from the seed. 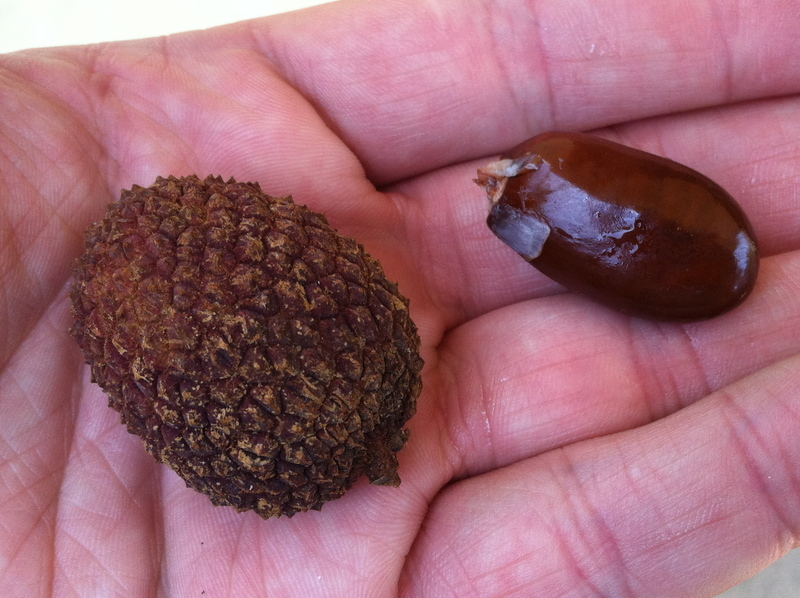 That didn’t work too well and I ended up finishing the job in the same manner as the first lychee. Lychees bring the fragrance of roses, the sweetness of cherries, the acidic brightness of pineapple, and the mellow flavor of green grapes together in one mouthful. OH – THE BENEFITS! Hopefully what I’ve written above helps convince you why you’d want to eat lychees, and here’s why you absolutely should: Lychees are high in vitamin C, and are considered a super fruit due to their high levels of polyphenol antioxidants (the second highest among all fruits). 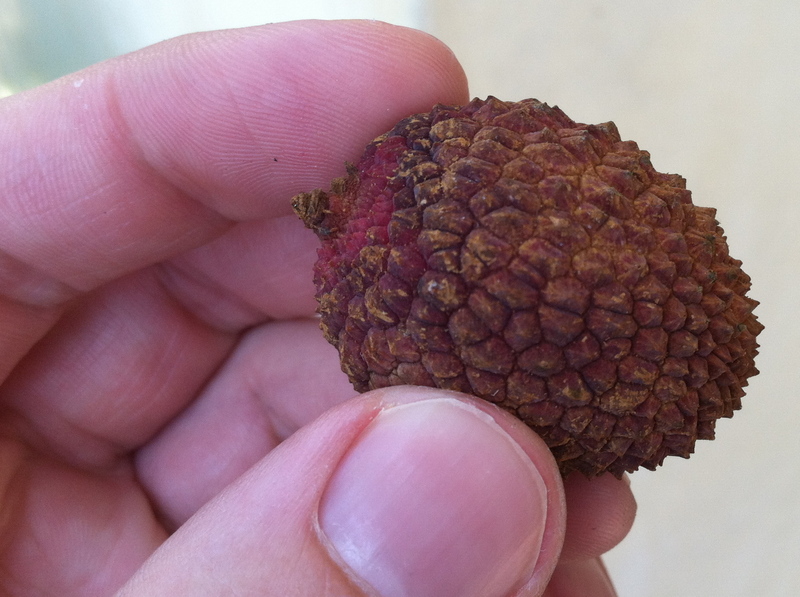 Lychees are used in Chinese medicine, particularly as a pain reliever and as a digestive aid. 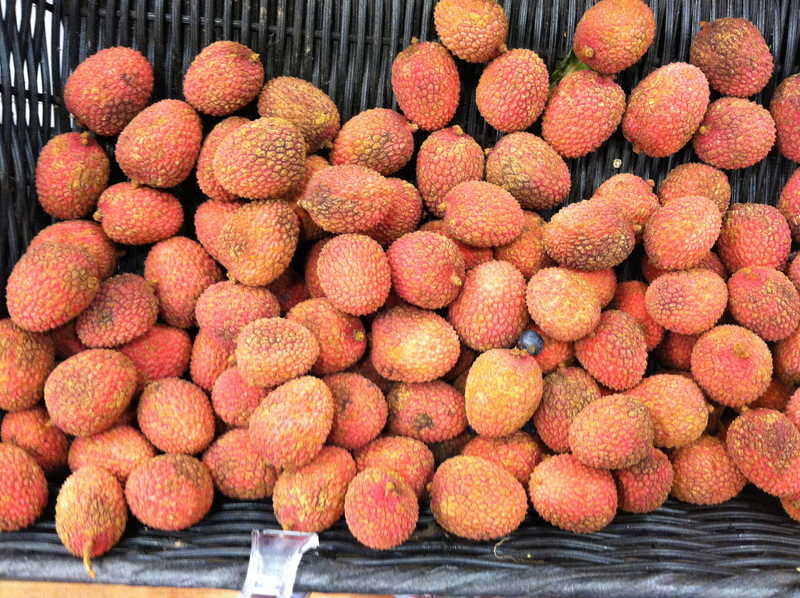 I hope I see more lychees in the stores, because I’d definitely buy them again! This entry was posted on Sunday, June 3rd, 2012 at 9:34 am and is filed under Uncategorized. You can follow any responses to this entry through the RSS 2.0 feed. You can leave a response, or trackback from your own site. I can relate to the whole “seed in the middle” thing. I remember eating my first mango. Who knew there was such a huge seed in the middle? I certainly didn’t. After all when my daiquiri came garnished with mango, there was no seed. Thanks for sharing your adventure. Cheers! There are different variants/species of them too, even some crazy colorful looking ones. I hope I come across them! Soooo….you didn’t quote me on the other thing I compared lychee to? Did you really want my readers to know how filthy your mind is?